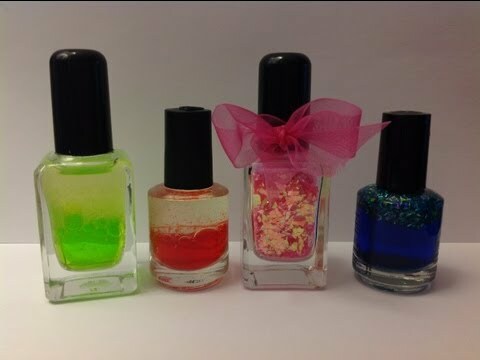 How to reuse or recycle used up Nail polish bottles? i have hundreds of old bottles that I kept in case i can make something out of it by recycling them somewhere or reusing it or selling them. I have heard you can use them as sun shade things. How do I do that? Also artists use them. I can't find any company that actually recycles nail polish bottles! Is... show more i have hundreds of old bottles that I kept in case i can make something out of it by recycling them somewhere or reusing it or selling them. I have heard you can use them as sun shade things. How do I do that? Also artists use them. I can't find any company that actually recycles nail polish bottles! Is their any chance people will buy it from ebay and make use out of it? Also, the first video mentioned you could pull out the brush. That little bottle would be great so share stuff you love with friends, such as a little bit of bath salts, body lotion or a scent. With a little bow the tiny bottle would be adorable. oh that's great idea and thanks for such a fabulous idea... Before that I was just throwing it in dustbin... Thanks for the video link too.. It's amazing..
What are some recycling projects that use common household items? What are some ways to be eviromentally green? Can you use water to remove nail polish from a nail polish bottle? How do i remove nail polish without using nail polish remover? How to effectively recycle older slightly used nail polish?